Published: Aug. 27, 2012 at 01:11 p.m.
Cam Newton is not only the NFL’s most exciting playmaker, he is the leader of the league’s most explosive offense. With a full offseason to master the nuances of playing quarterback at the NFL level, it is scary to imagine how good he will be in his second season as the Panthers' starter. I don’t anticipate a sophomore slump from Cam Newton. In fact, I think he’ll be even better in 2012. If the young players on the defensive line can develop, this is a playoff-caliber team. I'm guessing this wasn't what Ryan Kalil had in mind when he predicted a Super Bowl. They are thin at receiver and on defense. Cam Newton and this offense could end up dominating the NFL and the Panthers could be the surprise team of the NFL. That means getting through New Orleans and Atlanta. Their offense is already explosive, which means all that’s keeping the Panthers from diving into the race to the playoffs is their ability to stop people. With defensive-minded coach Ron Rivera, that might return, and Beason figures to help. After missing all but one game last season with an achilles ailment, the tone-setting Beason battled a hamstring injury in camp. If the hard-hitting, defensive sparkplug in the middle is healthy, they could be as balanced as they’ve been in years. Center Ryan Kalil already took out a newspaper ad to guarantee a Super Bowl win, and the march to New Orleans means they need to go through New Orleans. The Panthers will have a chance to show they are real early and at home against the defending division champs, their first test for this new-and-(possibly)-improved defense. 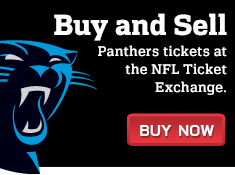 One week after the Saints come and visit, the Panthers host the Super Bowl champion Giants. No easy task, but it helps to have those two at home back-to-back. Beating one would be a step in the right direction. Beating both means the league will take notice. There is no division tie-in, and it’s too early to know how this battle will affect the playoffs. It’ll just be fun to watch. Cam Newton, the new-fangled passing machine vs. Peyton Manning, the old-school classic passing machine. Will the scoreboard hold them?